More info:Placements vary between 3-12 weeks (average duration 6 weeks). Pricing from £2,250 (3 weeks), £2,850 (6 weeks) up to £4,650 (12 weeks). Prices include the science training, all meals, accommodation and all dives. This project was set up in consultation with the Belize Fisheries Department, WWF Central America and the Sarteneja Alliance for Conservation and Development. 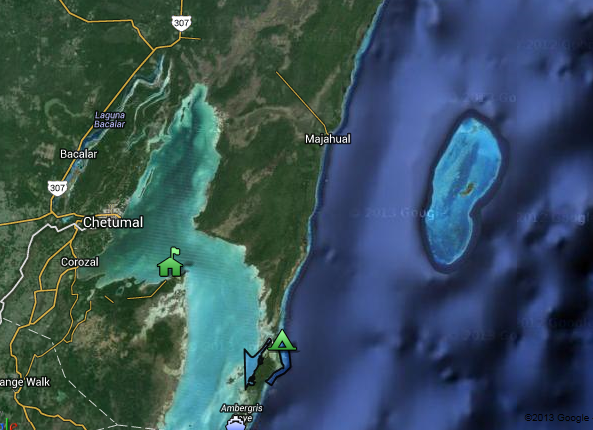 The need for meaningful and regular data about the health of the Mesoamerican reef system has been the main focus of our work and all data are collected in collaboration and with guidance from the Belize Fisheries Department in line with the methods detailed in the Mesoamerican Barrier Reef Systems Project. Our volunteers work with us to assess coral reef health, fish stocks and the numbers of large predators and mammals such as manatees and sharks. In addition we are collecting data on the prevalence, distribution and prey of lionfish, a new invasive threat to reef ecosystems in the Caribbean. All our volunteers are given guidance about local culture and environment prior to their trip in guides and during site briefings. Our volunteers in Belize spend time with Belizean families in homestays where they are immersed in local culture and enjoy amazing Belizean food. The homestays are a highlight of the trip for many volunteers. This marine conservation expedition has a buy local and employ local policy, the majority of the team are from Belize, we source local food wherever possible and we aim to deliver financial benefits to our host communities from the expedition. During the community phase of the expedition all accommodation and food is provided by a local Association in community homestays. This food and accommodation model ensures that our host community benefits directly from tourism revenue and this is a major source of alternative income for a community heavily reliant on marine resources and fishing. During the dive phase of the project volunteers live in accommodation within a marine reserve at a dive camp owned by local partner Shipstern Nature Reserve. This gives us access to a beautiful and remote site and also contributes to the income of our partner that is directed towards their conservation efforts throughout Belize.